McGeer graduated from University of British Columbia in 1948 with a first class honours in chemistry, then went on to Princeton for his Ph.D (1951). After graduating from Princeton, McGeer went to work as a researcher at DuPont, where he met a fellow researcher, Edith Graef. They married in 1954 and returned to British Columbia, where he earned an M.D. in 1958, while Edith went to work at the Kinsmen Laboratory for Neurological Research in the Faculty of Medicine at UBC. In 1959, Pat joined Edith as a professor at the UBC Faculty of Medicine. The two of them rapidly became a formidable research team, building the Kinsmen Lab into a premier neurochemistry facility with a particular focus on the degenerative neurological diseases of aging. Though they have long since officially retired (Edith in 1989 and Pat in 1992), they remain active. Both continue to research and publish in brain-related research, particularly on Alzheimer’s disease, Parkinson’s disease, ALS and Multiple sclerosis, with more than 800 papers and three books. McGeer was elected as a Fellow of the American Association for the Advancement of Science in 1966. In 1995 McGeer and his wife were honoured for their lifetime contributions to science and technology with a special award from the Science Council of British Columbia. Their research in the study of the function of neurotransmitters in the brain has been pivotal to the pathology of Parkinson’s disease and Alzheimer’s disease. Their textbook with Nobel Laureate Sir John Eccles, “Molecular Neurobiology of the Mammalian Brain” (ISBN 0-306-42511-4) was a classic in its day.In 2004 he was the recipient of the Wisniewski Award for extraordinary contributions to Alzheimer’s disease research. He and his wife Edith have been lifelong partners in neurological research and Pat considers that she has made the major contribution to most of their scientific publications. In 1995, he and Edith were inducted as Officers of the Order of Canada. In 2002 they were jointly inducted as Fellows of the Royal Society of Canada, and in 2005 they were jointly inducted into the Order of British Columbia. Stephen Crocker is Assistant Professor at University of Connecticut Health Center, Neuroscience. He received his Ph.D. from the University of Ottawa with a major in Pharmacology and completed postdoctoral training in Immunology at The Scripps Research Institute. His research lab is interested in how the immune and nervous systems interact and how this balance is disrupted in diseases of the nervous system. One of the their current projects is examining the role of the immune system in myelin pathology as it relates to diseases like Multiple Sclerosis (MS). In MS, the immune system mounts an inappropriate response targeting the coating of the nerve cells, called myelin. Myelin is critical for the proper development and function of the central nervous system (CNS). The progressive myelin injury in MS often results in debilitation that can lead to permanent disability. The cause of MS is not known and current treatments do not stop disease progression. The Crocker lab is working to understand how the nervous system responds to myelin injury and what limits myelin regeneration in MS. Toward this goal, they have found that a type glial cell in the CNS, called the astrocyte, produces a protein called Tissue Inhibitor of Metalloproteinases-1 (TIMP-1) in response to an inflammatory attack that causes myelin damage. TIMP-1 has a well-known function of blocking key enzymes, called metalloproteinases. Immune cells use metalloproteinases to move into brain tissues that can promote inflammation and contribute to myelin breakdown. However, Dr. Crocker’s lab has recently determined that TIMP-1 has a separate function as a trophic factor for oligodendrocyte progenitor cells – the population of resident CNS stem cells that can differentiate to foster remyelination. Interestingly, the healthy adult central nervous system expresses very low levels of TIMP-1 but in response to acute demyelinating disease or inflammation it is rapidly and robustly induced. However, in MS, levels of TIMP-1 are not elevated. Thus, they hypothesize that poor or absent production of TIMP-1 in MS may contribute to the limited remyelination in this chronic degenerative disease. The Crocker lab is working to refine our understanding on how TIMP-1 may be used to stimulate remyelination in MS.
A Neurodyn co-founder, Dr. Kay serves as Director and Chief Scientific Officer of Neurodyn and CNS CRO. 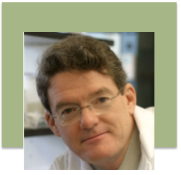 During his academic career at McGill University and the Clinical Research Institute of Montreal, he developed an expertise in animal model development and characterization, especially in the areas of Amyotrophic Lateral Sclerosis and AIDS. He is co-inventor on a patented, commercialized animal model of the multi system diseases associated with HIV infection. Dr. Kay was instrumental in the establishment and development of Neurodyn’s R&D program, and is inventor or co-inventor on three Neurodyn patent families currently in prosecution. Dr. Jeffrey H. Kordower is the Jean Schweppe-Armour Professor of Neurological Sciences, Professor of Neurosurgery, Director, Research Center for Brain Repair, and Section Head of Neuroscience at Rush University Medical Center in Chicago. He received his BA and MA from the City University of New York and his PhD in Neuropsychology from that same institution in 1984. He received an Honorary Doctor of Science from that same institution in 2004. Dr. Kordower is an international authority in the area of movement disorders, with special expertise in experimental therapeutic strategies for Parkinson’s disease. He has published landmark papers in the area of cell replacement strategies including the first demonstration that fetal dopaminergic grafts can survive, innervate and form synapses in patients with Parkinson’s disease; this was published in the New England Journal of Medicine. Furthermore, his recent demonstration that long-term grafts in such patients can form Lewy bodies was recently published in Nature Medicine. With regards to gene therapy, he published the lead article in science demonstrating that gene delivery of the trophic factor GDNF can prevent the emergence of motor symptoms and prevent nigrostriatal degeneration in a pre-clinical model of PD. A similar finding using gene delivery of neurturin has, in part, resulted in this therapy currently being tested in a Phase II clinical trial. He also was the first to demonstrate that gene delivery of trophic factors can obviate neurodegenerative processes in pre-clinical models of Huntington’s disease and Alzheimer’s disease; these studies are being published in Nature and The Journal of Comparative Neurology, respectively. 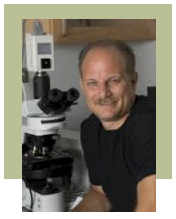 Dr. Kordower has published over 300 papers, has lectured all over the world, has been on over 20 editorial boards, and is on the Scientific Advisory Boards of many biotech companies and scientific organizations. He is a Past-Councilor and Past President of the American Society for Neural Transplantation, Past-Chair for the Committee for the Use of Animals for the Society for Neuroscience, and is a founding member of the Scientific Advisory Board, and current member of the Executive Scientific Advisory Board of The Michael J. Fox Foundation. 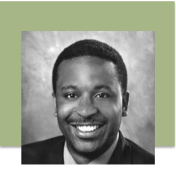 Dwain Morris-Irvin, PhD is a research scientist for the Maxine Dunitz Neurosurgical Institute at Cedars-Sinai Medical Center. His primary research interests include identifying new treatments for brain tumors and neurodegenerative diseases, such as Parkinson’s disease. Dr. Morris-Irvin’s studies have been published in several peer-reviewed publications, including the Journal of Neuroscience Research and Journal of Biological Chemistry. His stem cell therapy for glioma research has been funded by the National Institutes of Health. Dr. Morris-Irvin received his bachelor’s degree at Johns Hopkins University and his master’s in public health at the University of California, Los Angeles (UCLA). He earned his doctoral degree from UCLA and completed his postdoctoral training at Lund University in Sweden. Their major research goals are to identify the processes that cause neurodegeneration in diseases characterized by abnormal protein aggregation and to develop therapeutic strategies for their treatment. Such diseases include Alzheimer’s disease, frontotemporal lobar degeneration, amyotrophic lateral sclerosis and Parkinson’s disease. In order to more clearly understand the function of proteins implicated in disease progression, as well as the mechanisms responsible for causing neuronal death, they have developed cell and animal models that recapitulate key features of these diseases. These models are instrumental in gaining insight regarding the neurotoxic processes that initiate the abnormal aggregation of certain proteins, such as tau and TDP-43, as well as the harmful consequences resulting from the formation of proteinaceous aggregates. Concomitantly, we are committed to developing and discovering new therapeutics to target and treat these devastating conditions. Therefore, they routinely employ in vitro, in vivo and molecular approaches to identify, improve and examine small-molecule and biotherapeutic drug candidates. Moreover, they are developing and characterizing novel biomarker assays which, in addition to their diagnostic value, are expected to provide a reliable and sensitive means to test drug efficacy and, ultimately, help determine the best course of action for patients once treatments become available. Overall, their studies are geared toward deciphering the mechanisms of neurodegeneration in proteinopathies and translating that knowledge into the development of therapeutics. Dr. Michael Salter is Senior Scientist in the Neurosciences & Mental Health Program at The Hospital for Sick Children (SickKids) Research Institute, and a professor at the University of Toronto. He holds the Canada Research Chair in Neuroplasticity and Pain, and is the Anne and Max Tanenbaum Chair in Molecular Medicines. He has authored more than 120 scientific papers, reviews and book chapters. Dr. Salter is best known for his work on synaptic physiology and he has done groundbreaking work that has led to new paradigms about neuroplasticity and about how synaptic transmission in the central nervous system is regulated by biochemical processes within neurons and by glial-neuronal interactions. His discoveries have broad implications for the control of cell-cell communication throughout the nervous system and his work has regularly appeared in elite journals including Nature, Science, Cell, Nature Medicine and Neuron. Notwithstanding his present focus on molecular/cellular aspects of pain he has published work on many aspects of the pain experience including clinical studies on bio-behavioural aspects of chronic pain in patients. 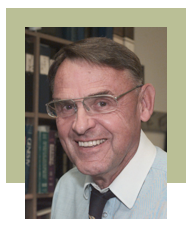 Dr. Salter received an MD degree from the University of Western Ontario in 1982 and went on to obtain a PhD in Physiology from McGill in 1987. After post-doctoral training at Toronto Western and Mt. Sinai hospitals he joined the Research Institute at SickKids in 1990, with an academic appointment in the Department of Physiology at the University of Toronto. He moved rapidly through the ranks and is currently Head of the Neurosciences & Mental Health Program and Associate Chief, Science Strategy at SickKids, and a Professor of Physiology, IMS and Dentistry at UofT. Dr. Salter was the founding Director of the University of Toronto Centre for the Study of Pain – an initiative that spans the Faculties of Medicine, Nursing, Dentistry and Pharmacy. In the Centre, he brought together a diverse group of more than 60 pain researchers and academics in the University of Toronto community. Dr. Salter is also a founder and Vice-President of NoNO Inc. a biotechnology company based in Toronto that is developing novel therapeutic agents for the treatment of stroke, neurodegeneration, neurotrauma and pain by targeting protein-protein interactions within neurons in the brain and spinal cord. Dr. Yehuda Shoenfeld was the head of the Department of Medicine since 1984 until March 2011. He has founded and today is heading the Zabludowicz Center for Autoimmune Diseases, since 1984, at the largest hospital in Israel- the Sheba Medical Center, which is affiliated to the Sackler Faculty of Medicine in Tel-Aviv University, in which Dr. Shoenfeld is the Incumbent of the Laura Schwarz-Kipp Chair for Research of Autoimmune Diseases. His clinical and scientific works focus on autoimmune /rheumatic diseases, and he has published more than 1600 papers in journals such as New Eng J Med, Nature, Lancet, Proc Nat Acad Scie, Nature, J Clin Invest, J Immunol, Blood, FASEB, J Exp Med, Circulation, Cancer and others. He has authored and edited 25 books, some of which became cornerstones in science and clinical practice, such as “The Mosaic of Autoimmunity”, “Infections and Autoimmunity”, the textbooks “Autoantibodies”, and “Criteria for diagnosis of autoimmune diseases”, which were sold by the thousands. He is on the editorial board of 43 journals in the field of rheumatology, and autoimmunity and is the founder and the Editor of the “IMAJ” (Israel Medical Association Journal, 1997) the representative journal of science and medicine in the English language in Israel and also is the founder and Editor of the “Autoimmunity Reviews” (Elsevier, 2001, IF=6.5), and Co-Editor of “Journal of Autoimmunity” (IF=9.2). He has written more than three hundreds and fifty chapters in books. For the last 20 years he is the editor of “Harefuah” – the Israel journal in medicine (Hebrew). 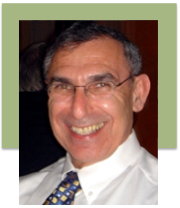 Dr. Shoenfeld is a member of the Israel Association of Allergy and Clinical Immuology and served as the president of the society in the years 2000-2002. 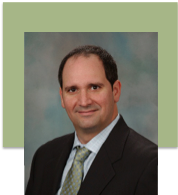 Dr. Shoenfeld is an popular lecturer and is invited all over the world to deliver plenary lectures (was several times the award of the best lecturer) and also has been a visiting professor to many institutions all over the globe. 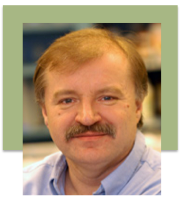 Prof. Alain Simard, Ph.D., is a researcher in the field of neuroimmunology, at the Université de Moncton, New Brunswick. He obtained his Ph.D. at the Université Laval, Québec, in 2006 while studying the role of inflammation in the development of Alzheimer’s disease. He then studied the effects of nicotine on inflammation and the development of EAE, and MS-like disease in mice, during his post-doctoral fellowship at the Barrow Neurological Institute, in Phoenix, Arizona (2007-2011). He was then appointed a Professor-Researcher position at the rank of assistant professor, at the Université de Moncton. He is jointly affiliated to the Centre de Formation Médicale du Nouveau-Brunswick and the department of Chemistry and Biochemistry. 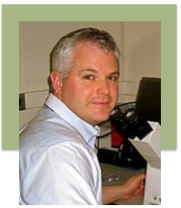 He continues to focus his research in the field of neuroimmunology, to gain a better understanding of how the brain controls inflammation. The goal of his research is to provide new molecular targets for the treatment of neurodegenerative diseases. A. Jon Stoessl is Professor & Head of Neurology and directs the Pacific Parkinson’s Research Centre and National Parkinson Foundation Centre of Excellence at UBC & Vancouver Coastal Health. He holds a Tier 1 Canada Research Chair in Parkinson’s and has directed a CIHR Team in Parkinson’s, a Pacific Alzheimer Research Foundation Centre grant on Overlap Syndromes Resulting in Dementia and a Michael Smith Foundation Research Unit. Dr. Stoessl sits on the editorial boards of Annals of Neurology, Lancet Neurology, Parkinsonism & Related Disorders and Translational Neurodegeneration, and has served on numerous scientific advisory boards. 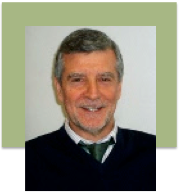 He is the past Chair of the Scientific Advisory Boards of the Parkinson Society of Canada and Ontario Mental Health Foundation and recently completed a term chairing the Interdisciplinary Adjudication Committee of the Canada Research Chairs program. 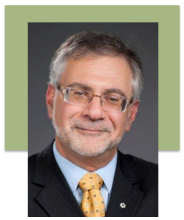 He serves on the International Executive Committee of the Movement Disorders Society, the Board of the International Association of Parkinsonism & Related Disorders, and chairs the Awards Committee of the MDS and the Mentoring Committee of the Parkinson Study Group. He co-chairs the Steering Committee for the World Parkinson Congress to be held in Montreal in October 2013. He is a Member of the Order of Canada. 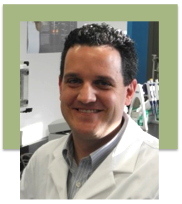 Dr. Stoessl’s research involves the use of positron emission tomography to study Parkinson’s disease and related disorders, including the use of imaging as a biomarker, the basis for complications of treatment and mechanisms of the placebo effect. 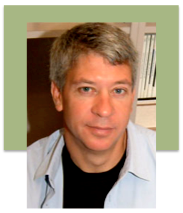 He has published more than 245 papers and book chapters. Luigi Zecca is director of the Institute of Biomedical Technologies National Research Council of Italy in Milano-I. His research interest is on brain aging and neurodegenerative mechanisms of Parkinson’s disease with particular emphasis on the role of neuromelanin and metals where he did relevant studies. In particular he described key aspects on the neuromelanin structure, synthesis, accumulation in aging, interaction with metals. He has shown how neuromelanin can be involved in neuroprotective or neurodegenerative processes depending on the cellular context. Stay tuned to hear news about our CNS Presenters for 2014. In the meantime, here were the presenters featured at our last conference in 2013. Advinus Therapeutics is a research-based Pharmaceutical Company founded by leading global pharmaceutical executives and promoted by the TATA Group. The company is the first of its kind in India to offer end-to-end development services to the global Pharma, Agro and Biotech industries and at the same time creating long-term value through internal and collaborative innovative Drug Discovery. Advinus has three operational sites. Advinus Drug Discovery located in a state-of-the-art facility in Pune (near Mumbai) is developing its own drug candidates with the objective of out-licensing them at preclinical or clinical stages. The therapeutic areas of focus of these programs are in Metabolic Diseases and Inflammatory Diseases. Advinus is also working on the discovery of novel therapies for neglected diseases such as Leishmaniasis and Malaria. The aim of this program is to discover and develop new drugs for neglected diseases with speed, efficiency and cost effectiveness. India is ideally suited for this activity due to public health issues of the country, availability of talent and cost effectiveness. Advinus is committed to addressing these global public health issues. Advinus’ Pharmaceutical development Bangalore operation is located on an 8-acre campus with 220,000 sq. ft of modern facilities. This business offers an end-to-end pre-clinical to early clinical development platform for pharmaceutical product development. The agro chemical development center is located about 3 kilometers away from the pharmaceutical development center. Spiraling R&D costs, flat productivity and an ever-increasing pressure on time-to-market have become issues that pharmaceutical organizations, the world over, are grappling with. Advinus’ CRO Bangalore operations provide clients with cost-efficient services in the areas of Process Development, Drug Metabolism and Pharmacokinetics, Clinical Pharmacology, Safety Assessment and Analytical R&D. The Bangalore center is also one of the most accredited R&D centers of India with certification from AAALAC International and from the German, Dutch and Indian authorities for GLP compliance. In its management and senior leadership the team has over 15-20 years of drug discovery and drug development experience in U.S. large Pharmaceutical companies, with experiences handling dozens of IND and NDA filings. CRP40 Inc. is a Canadian biotechnology company that is focused on developing novel diagnostic and therapeutic tools for the treatment of Parkinson’s disease. CRP40 Inc. has recently opened a research and development laboratory in Charlottetown, PEI where the company is focused on continued research initiatives to develop state-of-the-art and first of its kind diagnostic and therapeutic products for Parkinson’s disease. Delivra Inc. is a Canadian evidence-based company that has developed a revolutionary proprietary technology for superior delivery of natural and pharmaceutical molecules across the skin. Unlike oral medications that are broken down by your internal organs causing unwanted side effects; the innovative delivra™ delivery system bypasses these organs, thus increasing safety and compliance. In 2007, Delivra Inc., under the leadership and direction of inventor and Chief Scientific Officer, Dr. Joseph Gabriele, began as an over-the-counter product company to effectively transport natural products and drugs through the layers of the skin using the “powered by Delivra™” delivery technology. The main vision of the company is to develop innovative natural health and wellness solutions with the DelivraTM technology that is both safer and more effective than oral medications and existing transdermal delivery systems. The DelivraTM technology can be effectively applied for the treatment of some of the most debilitating acute and chronic conditions and diseases that are prevalent in population (e.g., treatment of acute/chronic pain, arthritis, muscle fatigue in a variety of conditions, hormonal issues, and venous insufficiency and circulation problems, etc.). Galantos Pharma is a drug development company founded in 2005 with the aim of solving the urgent medical need in Alzheimer’s disease (AD) for drugs combining both, efficient cognition enhancement and slowing down of disease progression. Rather than joining the band of companies that tried immunotherapeutic or other approaches aimed at removing excessive or misfolded extracellular ß-amyloid, we used as lead the plant alkaloid and marketed AD drug galantamine (Reminyl®, Razadyne®), and aimed at improving crucial properties of this natural cognition enhancing drug. Galantos’ most advanced drug candidate Memogain® is a NCE and pro-drug of galantamine that according to preclinical tests is (i) free of any gastrointestinal side effects and (ii) partitions much more efficiently into the brain than does galantamine. In there it is enzymatically cleaved and releases the parent drug galantamine at dramatically enhanced bioavailability. GLP-preclinical development of Memogain® has been completed and the requirements for first-in-human clinical studies have been fulfilled. Memogain is expected to offer decisive improvements in medical benefit compared to all currently available AD drugs: it may produce larger and more sustained cognition enhancement, faster and stronger onset of efficacy, and significant slowing of disease progression. Because it does not cause any significant gastrointestinal side effects, Memogain will neither require slow up-titration of dose (as need all so called cholinesterase inibitor drugs), nor will dosing be limited by the level of adverse effects tolerated by the individual patient. Galantos Pharma has recently been restructured with the aim of focusing all resources on clinical development of Memogain and rapid market introduction as the first drug for symptomatic and disease-modifying treatment of mild-to-moderate Alzheimer’s disease. The Johnson & Johnson Family of Companies is the world’s most comprehensive and broadly based manufacturer of health care products, as well as a provider of related services for the consumer, pharmaceutical and medical devices and diagnostics markets. Caring for the World…..one person at a time inspires and unites the people at the Johnson & Johnson Family of Companies. We embrace research and science – bringing innovative ideas, products and services to advance the health and well-being of people. Employees of the Johnson & Johnson Family of Companies work with partners in health care to touch the lives of over a billion people every day, throughout the world. There are six individual operating companies in Canada, representing the consumer, pharmaceutical and medical devices and diagnostics markets. Lumira Capital is one of Canada’s leading life science and healthcare venture capital firms. With partners in Toronto, Montreal, and Boston, the firm is focused on partnering with entrepreneurial management teams and other leading venture capital and corporate investors to build best in class, innovation centric, North American life sciences companies whose products and services address significant unmet market needs. In March 2012 Lumira closed two new funds, Lumira Capital II and the Merck Lumira Biosciences Fund and in May 2013 was recognized by the CVCA as for the 2013 venture capital deal of year for a Canadian-based firm on the realization on its investment in Kai Pharmaceuticals. ViTRAK Systems Inc. (ViTRAK) is a federally incorporated company located on the east coast of Canada in the Province of Prince Edward Island. Since its formation, ViTRAK has successfully moved its sensor floor technology idea from conceptualization to proof of concept, to preproduction prototype and is now entering into the final stages of development and evaluation prior to launch of the new Stepscan™ product line in the Fall of 2013. To date, the company has been successful in securing two patents for the Stepscan™ sensor floor technology in Canada and the US, one specific to the floor tiles themselves and the second as a part of a patient home monitoring system for people suffering from various forms of dementia. 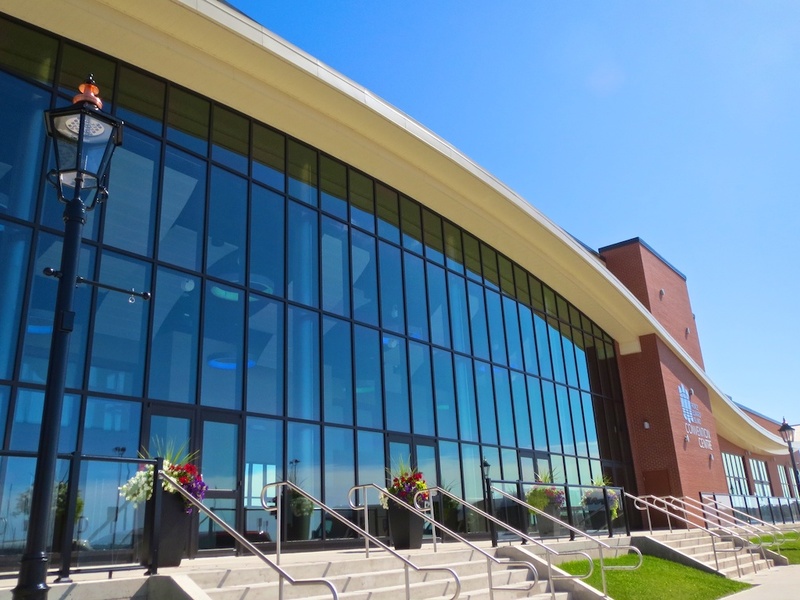 ViTRAK’s research and development initiatives are housed in a spacious 2,000 square foot research and office centre located on the Charlottetown waterfront. ViTRAK Systems management is pleased to be the successful recipient of an Atlantic Innovation Fund award that will see the completion of the Stepscan™ development project and the commercialization of a revolutionary technology in Prince Edward Island.